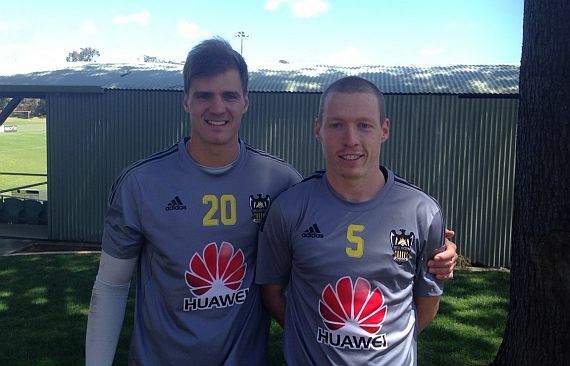 Former ECU Joondalup SC duo Lewis Italiano and Ryan Lowry were both involved in the Wellington Phoenix’s under 20’s game last week against Eastern Suburbs in the opening game in the Stirling Sports Premiership. Both players played a full 90 minutes in the 1-2 defeat at David Farrington Park, and Lowry made his presence felt for the Phoenix, while Italiano pulled of a number of fine saves. Willem Ebbinge gave the Phoenix the lead just before the hour but goals from Sam Burfoot and Tim Payne gave Eastern Suburbs the points. Speaking after the match, Phoenix coach Andy Hedge commended Eastern Suburbs on the way they handled a difficult contest. “Ultimately we’re disappointed with the result and performance. Certainly in the second half I thought Eastern Suburbs came out really firing and they put us under a lot of pressure,” he said. Both Italiano and Lowry have been names in the Phoenix travelling squad for Monday night’s Hyundai A-League clash against Melbourne Victory at Etihad Stadium.